The Singapore/UK ‘d’ Monologues: An international theatrical dialogue of difference, diversity and what it is to be human, from opposite sides of the world. A mosaic of fictional monologues inspired by interviews in the UK and Singapore, it tells new stories across multiple languages in spoken, visual and projected forms. 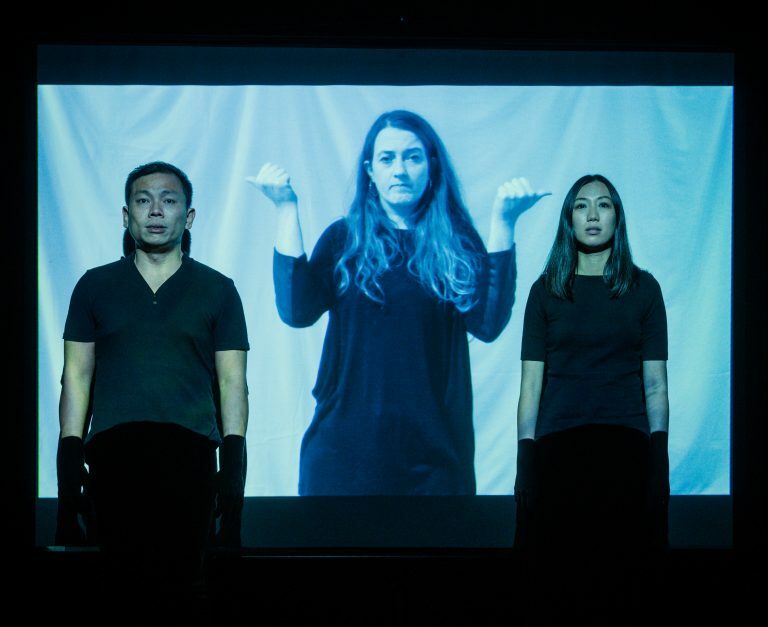 The first multilingual, intercultural, Deaf and disabled-led theatre project created between the UK and Singapore, this multi-media production incorporates the aesthetics of access including integrated audio description, creative captioning, and visual and spoken languages (English, Mandarin, some Cantonese). Ramesh Meyyappan, Sara Beer, Garry Robson, Macsen McKay and Sophie Stone. Peter Sau and Grace Khoo with video appearances by Danial Bawthan, Stephanie Fan and Lee Lee Lim.